The simple renaissance building is preserved almost to its original state from the second half of the 16th century. Both of the entry portals, the extension of the outdoor pulpit and the gable belfry are from an earlier date. The illusive fresco decoration is fully preserved apart from certain details, which will surprise all visitors. The dating of the frescos is questionable with regards to the fact that they are not located on the inferior purlin of the early baroque roof frame; they are perhaps from earlier times. 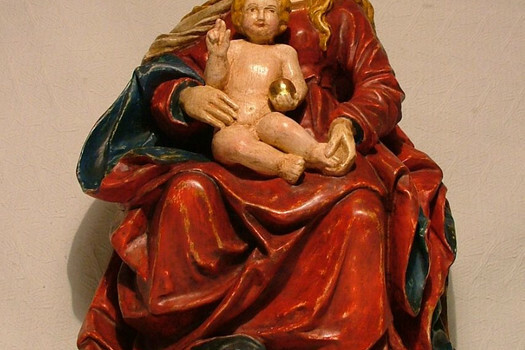 Until 1936, they were hidden under several layers of later applied plaster. 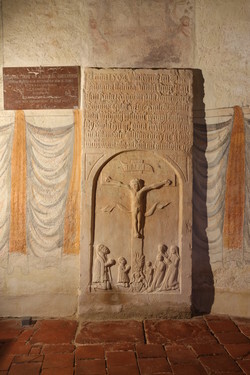 In connection with the building of the family tomb for the last owners and the subsequent reconstruction of the church, they were uncovered and restored. The ceiling of the church was perhaps from its beginning flat. In the nineteenth century, the building of a ”more dignified“ vault was considered. Finally, in 1888, the interior into the old early baroque roof frame was opened up, which was newly modified by the architect František Kadlec. 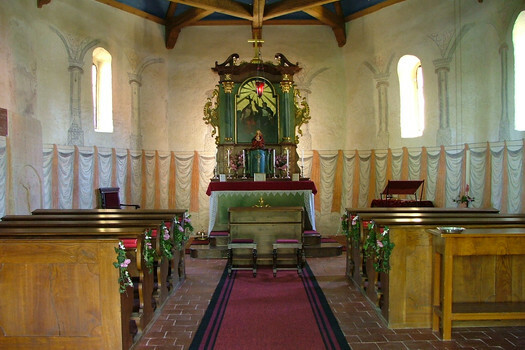 Within this modification, the interiors were painted with a deep clay paint and the altar architecture obtained white polychromy. The original marbling of the altar was discovered and restored in 2005. 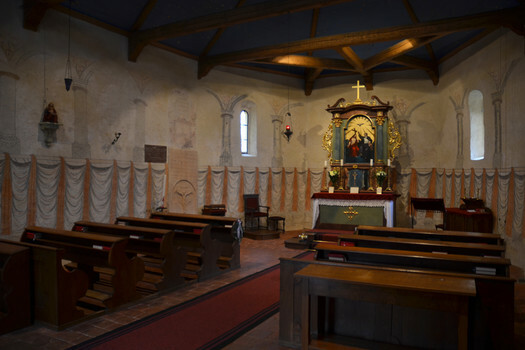 The front altar painting of the trinity is perhaps from the end of the 19th century. 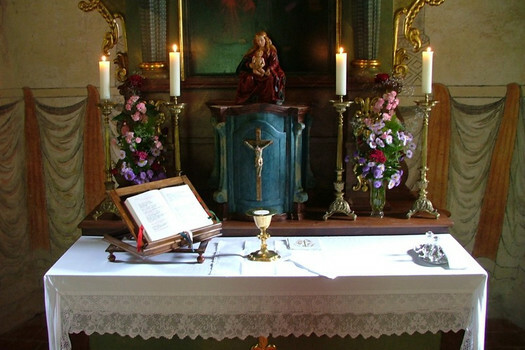 Its authorship is traditionally ascribed to the parish priest Bedřich Kamarýt from Deštná. The most interesting element of the interior is no doubt the tombstone of John Kába of Rybňany from 1564, on which he reminds us also of his five deceased children. 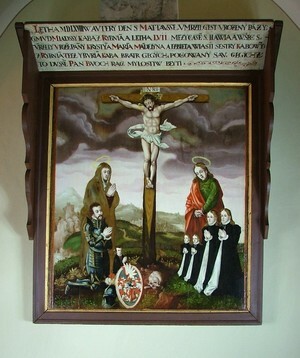 The main motive of both works is a crucifixion, where the deceased members of the family of Kába of Rybnany are on their knees below the crucifix. The border of earthly life here opens up to eternity and therefore gives even to the most tragic fates of the ancient owners a happy dimension, as well as order to the entire place and a sense of our earthly pursuance.